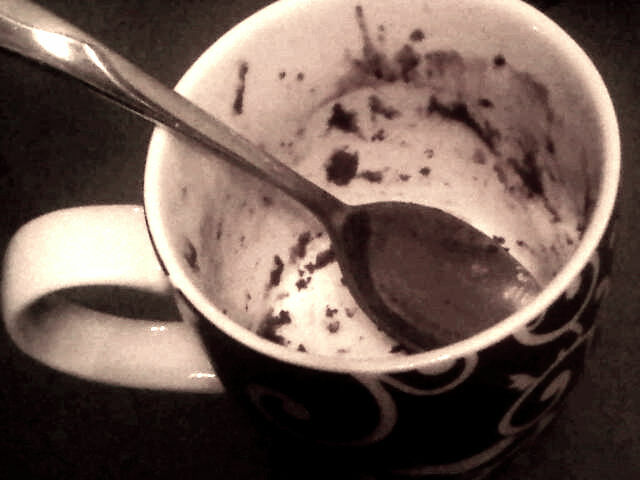 Chocolate Mug of Sadness indeed. no. i put the other one in the fridge so i can have it tonight! luckily i’m out of vegetable oil so i won’t be able to make another batch tomorrow… unless I go shopping…hmmm. do you think it would be good if i made a vanilla version with the maple peanut butter??? Talk about ” good to the last drop”…. Nabob has nothing on you by the look of things!